Now more than ever lawmakers nationwide are erecting barriers to the ballot box. We cannot afford to have laws that push people out of the electorate. In order for this to be a true democracy, every eligible American must be able to vote. Go to the polls on November 8, 2016 armed with your rights. Download the resources below and share them with your friends. 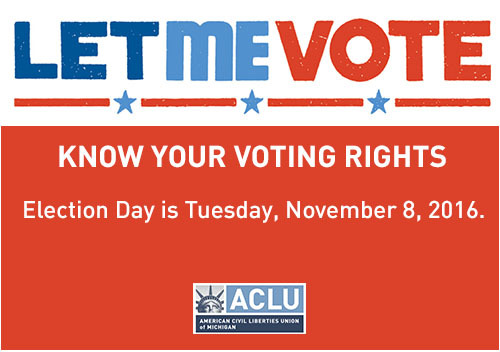 This card includes all the information voters need to exercise their fundamental rights on Election Day, such as what types of photo ID will be accepted at the polls and what to do if you don’t have a Photo ID. 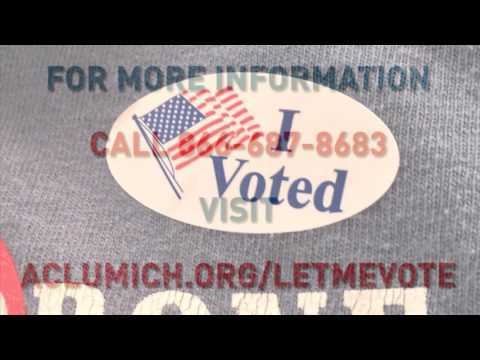 This FAQ includes information on how to register and vote for those in the criminal justice system, whether you have a criminal record, are currently jailed or your polling place is in a restricted area. On Election Day, you'll have many choices including whether you will vote in your college town or in your hometown. By using this how-to guide, you'll find out what's best for you as you exercise your fundamental right to vote on November 8. This checklist for every voter includes helpful tips and reminders to ensure that your vote counts.